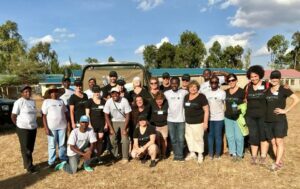 In February 2018 Vet Treks returned to Kenya for our second service trip. 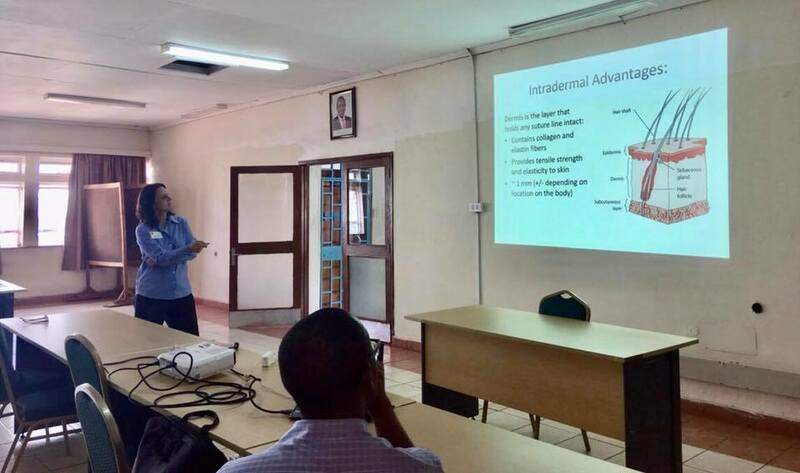 Our crew provided a continuing education program to senior veterinary students and practicing veterinarians at the University of Nairobi College of Veterinary Sciences. The one day program offered updated techniques for spay-neuter surgeries and suturing techniques. Thanks to our generous donors, we were able to gift high quality surgical instruments to all participants. This underscores our commitment to creating sustainable veterinary care in the communities: Kenyan vets providing quality care to Kenyans and their pets year around. In another effort to support local veterinary development, most of the students, and many of the practicing veterinarians, then joined us in the second part of our service offering, a three-day rabies vaccination and sterilization campaign in Machakos County, about 50 miles from Nairobi. There our crew of 15 partnered once again with Africa Network for Animal Welfare (ANAW). Machakos County is one of five identified in Kenya as endemic for rabies. Sadly, human deaths have recently occurred from bite wounds from infected cats and dogs. In an effort to eradicate rabies from domestic animals (and thus to avoid human exposures and deaths), ANAW and many other groups in Kenya have endeavored to provide mass rabies vaccination campaigns in the most affected areas. Several vaccine stations were set up in the town of Tala and over 2,200 dogs, cats and donkeys were vaccinated! Another tool for decreasing rabies cases is to control the populations of dogs and cats, which in turn limits the number of negative interactions and bite wounds in people. In the past, the government has approached the overpopulation problem by staging community-wide strychnine poisoning of community animals. This is an inhumane, painful way to die. It was also very unpopular in the communities because frequently their owned and cared for rabies vaccinated pets would succumb to poisoning. Strychnine is also dangerous because it does not degrade quickly in the environment and the risk of exposure to wildlife and even humans is great. High volume spay-neuter campaigns, regularly offered, is a more humane way to curb the populations of unwanted dogs and cats, and this is an area of expertise for Vet Treks. 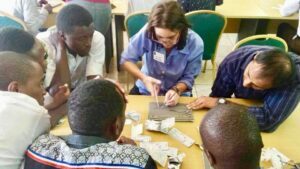 Our plans for 2019 are to expand our offerings for continuing education for Kenyan veterinarians and students. The University of Nairobi Veterinary School is partnering with us to develop a regular curriculum of visiting Vet Treks lecturers who will augment the education of both practicing and future veterinarians. 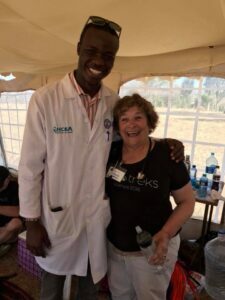 We are very excited about this new partnership and we are looking for veterinarians interested in offering their expertise to eager students in Kenya. We will also expand our sterilization services in 2019, offering more days of surgery to local communities, and once again involving local vets and vet students. We will need veterinary surgeons, technicians and many other volunteers for support positions during our campaign. After our hard work, our crew headed to the world famous Masai Mara Reserve and took in a magnificent four-day safari, something not to be missed while in Kenya! Be a world traveler and a force for good! Ivory: Sell It Or Burn It?